Over three quarters (80%) of UK bankers are optimistic that the UK’s economic outlook will improve in the second half of 2014 and 71% think the performance of their bank will improve. As a result, 41% expect a pay rise, 49% believe headcount will increase, and there’s a positive story for lending across all sectors, particularly for SMEs, according to EY’s European Banking Barometer (1H14). Omar Ali, UK Head of Banking and Capital Markets at EY, says: “The UK’s economy is picking up more quickly than the Eurozone, and UK bankers anticipate an increasingly strong second half to the year. 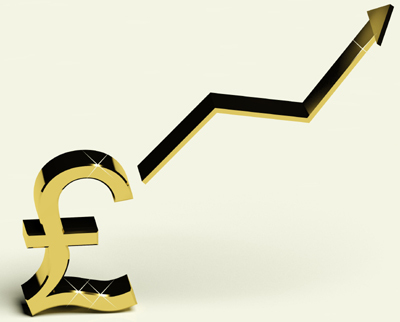 Forty-one percent of UK bankers expect a salary increase in 2014, compared to only slightly more than a quarter (28%) of their European counterparts. Of the 41% of British bankers, all expect an increase to be above the rate of average wage inflation, and 12% expect it to hit double digits. Bankers in Spain and The Netherlands were the only nations to top the UK’s expectations around remuneration, with 50% and 43% respectively expecting pay rises. But only bankers in Spain anticipate such high double digit growth (11%). Almost half (49%) of UK banks expect overall headcount to increase this year. The outlook is more conservative across Europe, where 30% expect headcount to rise but 38% expect it to fall, resulting in an overall net decrease. When it comes to investment banking, the survey shows that UK bankers are divided almost down the middle over headcount – while 27% believe headcount will increase in the second half of 2014, 23% think more people will be laid off. The survey paints an increasingly rosy picture for lending in the UK as 2014 progresses, with British bankers anticipating demand for credit to grow as the economy recovers. SMEs are likely to benefit the most from increasingly relaxed lending criteria, with 59% of UK bankers expecting lending to SMEs to be less restrictive. This is better than the outlook for European SMEs, where only 45% of banks in Europe think they will relax the lending criteria. Across Europe, lending conditions are expected to tighten in 2014 H2 for at least one sector, unlike the UK market where lending criteria is expected to relax across the board.